Using high pressure, high heat and recapture technology we can blast your floors free of all these impurities and restore them to their original form. All impurities and water are extracted back to the vehicles waste tank leaving your floors dry and clean. We offer a Free in home measure and quote of your floors giving you a fixed price. 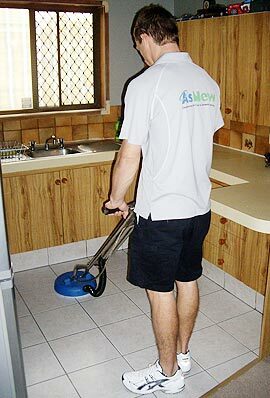 Upon completion of cleaning we install high speed air movers ensuring floors are dry and ready to use straight away. All our customers receive a free bottle of neutral floor cleaner ensuring your floors stay clean. We also offer grout sealing and colour sealing, ensuring your grout lines stay clean. Dirty Tiles and Grout can often be difficult to clean. Being such a porous surface they can hold a lot of dirt and grime and can harbor unwanted germs and bacteria, leaving you with an unsightly eye sore in your home. Lets face it our floors are a statement piece in our homes and keeping them clean will improve the whole look of your home! 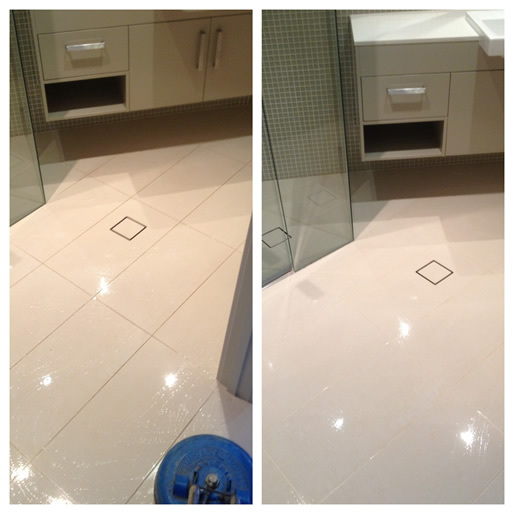 Get your tiles and grout cleaned and restored for a fraction of the cost of replacement. Using a high-powered truck mounted machine, we combine high heat, high pressure, Water recapture and the finest of Cleaning products which enables us to clean and restore your floors like never before. 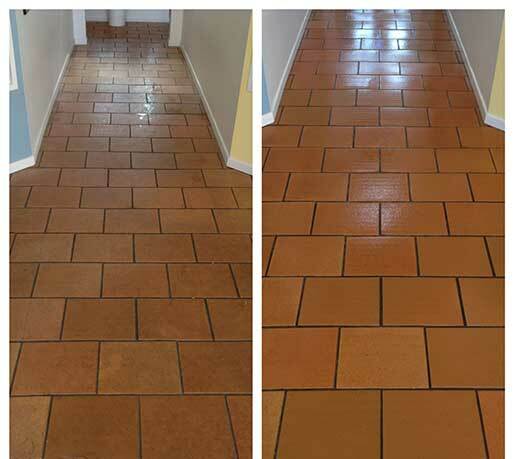 Specializing in restoration of Ceramic, Porcelain and Terracotta Tiles. Call us today to arrange a free in home measure and quote. Grout lines are porous and therefore often become discoloured and dirty within a short period of time. Often stains may become permanent within your grout and give your floors an unpleasant look. By colour sealing we offer a permanent solution to this common problem. 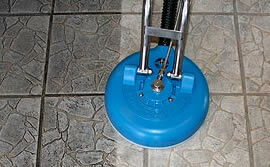 The colour sealant makes your grout lines non porous and creates a permanent stain barrier for your grout. Our colour sealant is not to be confused with grout paints as these do not offer this superior stain resistance.